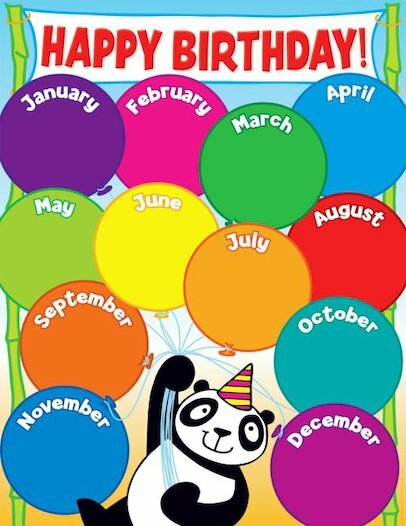 Kids will love noting down their birthdays on this bright and colourful panda chart. The write-on, wipe-off surface has a plastic coating for extra durability. There are also reproducible pages on the back of the chart. For use with Grades PreK-5.